Women on a Mission: Mom Edition: FREE Shutterfly Photobooks! I’ve just received my new FREE Shutterfly photobook, Friends, and I am happy as a clam over it! 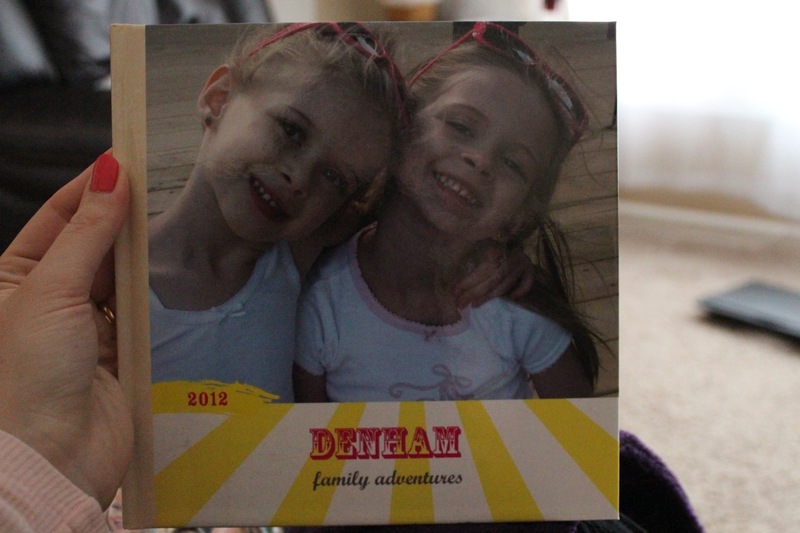 I'm now on my third Shutterfly photobook, all of which I’ve managed to get for free. The first book, 2011, I don’t even remember, but I know it was free since I flat-out know I’ve never paid for one of these books for myself (we did buy one for Thrifty Nana for her b-day this year – she LOVES it). 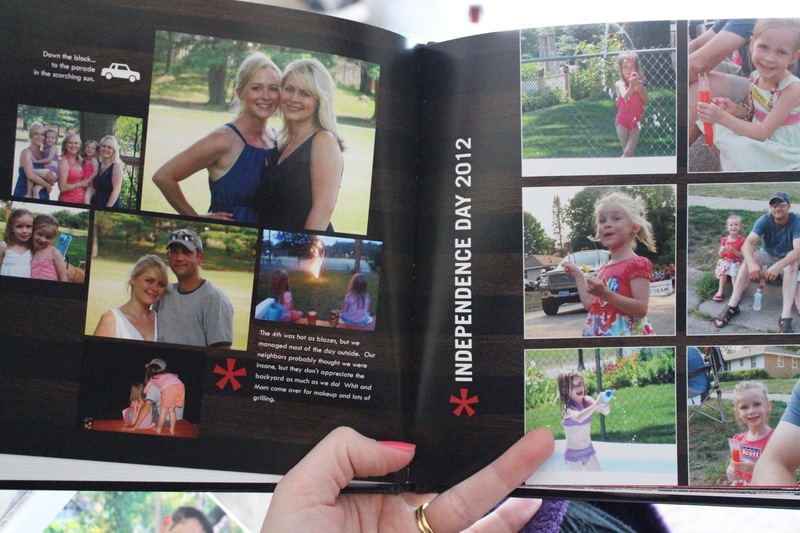 The second photobook, 2012 – part one, I got as a catalina coupon at the checkout at Target last summer. I know, right? They have always been 8x8” in the free ones, though they claim 8x12” are their more popular models. I’d be hard-pressed to fill 4” more space, to be honest with you. It’s hard to fill the space sometimes (maybe I'm not a natural-born scrapbooker?). You have two options. You can choose their auto-fill mode, where you select a style (they have a ton) and then the pictures you like, and it loads them up chronologically from when the photos were taken (since all digital photos have that encrypted in these days). Slick. It takes like 5 minutes. If you want to adjust things (like where the pictures are, how many are on each page), you can; you can even add some wording and a picture & title to the cover and binding. I did this for Thrifty Nana’s. The other option is the do-it-yourself mode. This is where you select a style (they have even more than the autofill for this mode) and then you fill each page as you go. You pick the number of pictures, what backgrounds, what stickers. Everything. 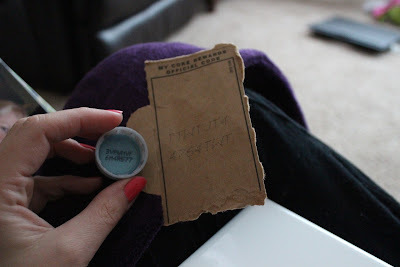 It’s pretty much like digital scrapbooking. My third book is from my Coke Rewards points. I always saved the Coke bottle tops and 12-pack box points. I didn’t know why, but I figured they’d be good for something. 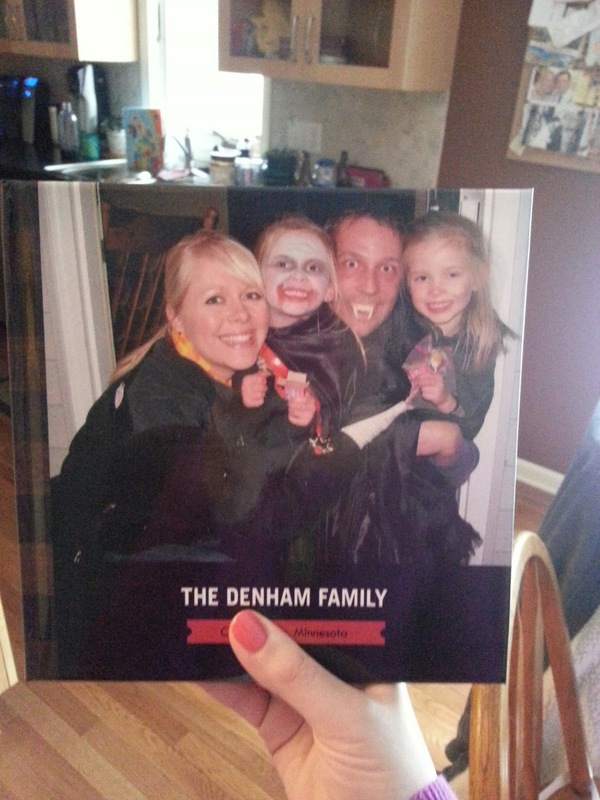 So I finally entered them the other day and looked to see some of the rewards and what was available but a 20-page 8x8” Shutterfly photobook!! DECISION DONE! My third book, 2012 – part two, is a totally different style than my first two books. I did that on purpose. I want them to be all different. This picture's from my phone - sorry, not as good. I’ve been super happy with all my Shutterfly products (I’ve ordered a few other things too, including cards, magnets and pictures). Of note, I have NOT EVER gotten Shutterfly to work on our Mac laptop or my KindleFireHD tablet. No clue. Fortunately, we also have a PC laptop, so I was able to do my Shutterflying on there. FYI. I even contacted their customer service and they didn’t seem to know why. It’d load to the main page, but when I’d try to log into my account, it pretty much just froze. Forever. 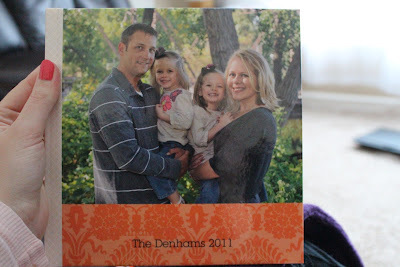 Anyway, save your points and count your catalinas and you are bound to earn free Shutterfly photobooks! I’ve found that 2 per year (at 20 pages each) is a pretty good amount to cover all we do, and it’s not overwhelming to try to fill one 40-page book all at the end of one year.